This comfortable backpacker hostel is right in the hub of the buzzing Paihia night life but you'll leave the noise as soon as you step into your room. Relax in a peaceful and comfortable environment and dine in our covered outdoor area. A variety of backpacker accommodation is available, most including ensuites. 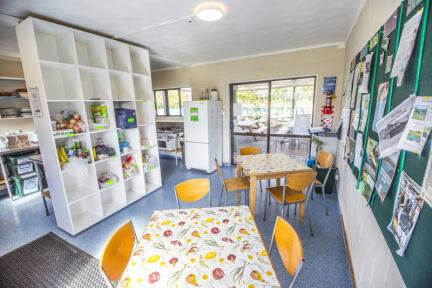 YHA Bay of Islands Paihia now has a fully self contained apartment which sleeps up to 6 people with its own bathroom and fully equipped kitchen including dishwasher and laundry. For more info on this accommodation option contact the YHA Bay of Islands Paihia hostel directly. YHA Bay of Islands Paihia gets consistently high ratings on online hostel review sites, one of the best backpacker hostels in the Bay of Islands. You will feel right at home at YHA Bay of Islands Paihia.